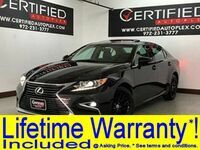 When it was launched in the North American market in 2000, the Lexus IS compact luxury car exemplified sporty luxury, with an elegant and bold look that captures the hearts and minds of luxury shoppers. 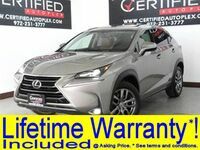 Whether buyers need an attractive and comfortable vehicle for the daily commute, or want a sporty convertible to take around town, a used Lexus IS in Carrolton TX can meet those needs. 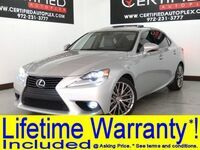 Available in sedan, coupe or convertible body styles, the Lexus IS in current inventory at Certified Autoplex can deliver the responsive power and premium luxury that owners crave. Our inventory is changing constantly, but current options feature leather upholstery with heated and cooled seating, paddles shifters, a rearview camera, sunroof and convertible options, Bluetooth phone compatibility, and navigation assistance. 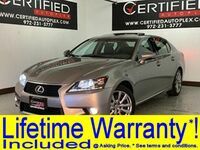 If you see a used Lexus IS in our inventory that might be perfect for you, be sure to schedule a test drive so we can hold the vehicle for you. If you don't see the model you are looking for, check back in a few days and it may have appeared. 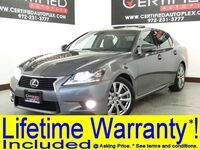 Each used Lexus IS in Carrolton TX may be a compact vehicle, but that doesn't meant that they come with barely passable power. Our current inventory features models from 2013, 2014 and 2015, each of which comes with a V6 engine that can readily deliver the horsepower and acceleration that luxury buyers desire. 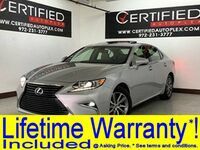 Even better, most pre-owned Lexus IS models at Certified Autopex come with a Lifetime Powertrain Warranty. 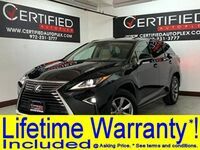 We don't allow a vehicle on our lot if it hasn’t passed a rigorous quality inspection, and we are willing to back that up with warranty guarantees. 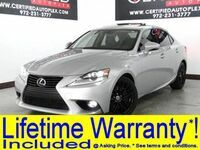 In addition to engaging performance and handling, and a bold exterior look, the Lexus IS offers the reliability and confidence that we expect from the Lexus brand. Our inventory doesn't remain static, so be sure to check on availability before you arrive to make sure that the vehicle you are interested in is available. 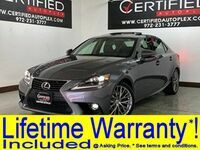 Schedule your test drive today for the pre-owned Lexus IS of your dreams by contacting a member of the Certified Autoplex team or filling out the form on this age. Interested in a Used Lexus IS?